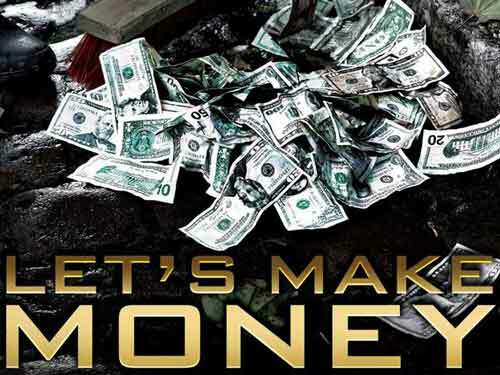 This time the documentary of Erwin Wagenhofer Lets Make Money caught my attention. It presents the truth, the whole truth and nothing but the truth about money “creation”, stock and effect upon ordinary people’s lives over time and worldwide. At the same time, it is shocking and chilling although all of us have already realized the consequences upon our lives. Nevertheless, it offers (or it would hopefully do) some kind of awareness -even to the most keen supporters of liberalism, and of its evolved and harsher version, neoliberalism- on the financial, social and political events that take place because of banks, World Bank in particular, the whole financial/ economic system together with the elite (1%), all of them against the people (99%). Image is a powerful tool but equally is speech and words (logos in Greek). One important reason for this posting is also relative to the article about Panama Papers. The documentary is, among others, a proof that all tax heavens, capitalism, poverty and exploitation are existing and are globally known. It also proves that corruption is a lot bigger, deeper and higher than presented by the Media. Capitalism is the corruption and is lethal because it constitutes the core and the essence of international institutions which affect the fates of countries and people. It is the whole system which is corrupted and not just some individuals, even if these are prime ministers and presidents. The long hand of propaganda and of “consensus manufacturing”, aims to smear some (or many, it doesn’t make any difference) in order to disorient social resentment and opinion. Yet, there are people -humans- all over the world who think that their “fate” is to be poor and exploitable. Curiously enough, they live in “prosperous” and “civilized” western countries. It is more appropriate to write: THINK and ACT. These are the only whole versions with English subtitles I found and they both work in my computer systems. Maybe they are the same, maybe not. In case you can’t open one or both of them (cause of compatibility or software problems) here is the first part in YouTube. If problems occur, do not hesitate to contact in order to search together for a solution. Much more than an environmental article and perspective. Because everything in life and on planet is interrelated. ©2018 The World The People …and the truth Unauthorized use and/or duplication of this material without express and written permission from this blog’s author and/or owner is strictly prohibited. Excerpts and links may be used, provided that full and clear credit is given to ©2018 The World The People …and the truth and its owner/author with appropriate and specific direction to the original content.